"La nostra partnership ha dato vita alla prima casa di produzione nell’area che offre video messaggi in oltre 150 lingue. AAA Translation, a translation and global consulting firm, and VOG Advertising, a video production company, today announced a joint venture to provide video and multimedia production services in more than 150 languages. The joint venture will combine AAA Translation’s 20 years of translation and global consulting experience with VOG Advertising’s video production resources and expertise. The joint venture will operate under the name GlobalVid International and will be based in St. Louis, Missouri. 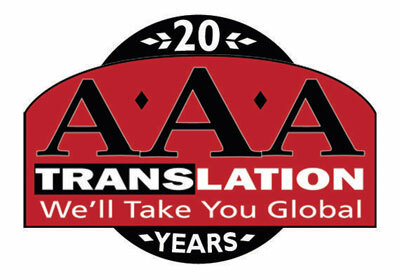 “There is no other venture like this in the United States,” said Susanne Evens, founder and president of AAA Translation. “Online video is such a powerful marketing tool, but only if you’re speaking your target customer’s language. According to a Cisco Visual Networking study, online video users are expected to double to 1.5 billion in 2016 and, globally, online video traffic will be 55 percent of all consumer Internet traffic in 2016. At the same time, only about 24 percent of national brands are using online video to market to consumers, says Kantar Media. To learn more, please contact us at 1-844-293-3519.